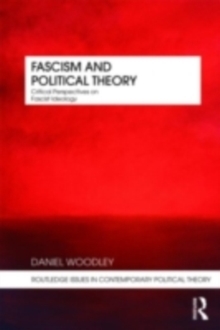 Indigeneity and Political Theory engages some of the profound challenges totraditions of modern political theory that have been posed over the past twodecades. 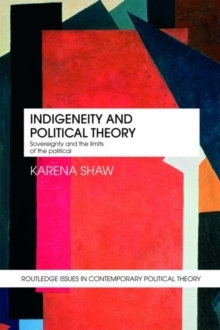 Karena Shaw is especially concerned with practices of sovereigntyas they are embedded in and shape Indigenous politics, and responses toIndigenous politics. 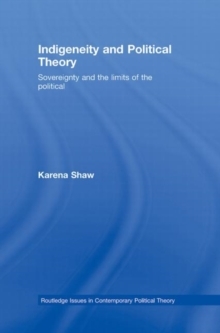 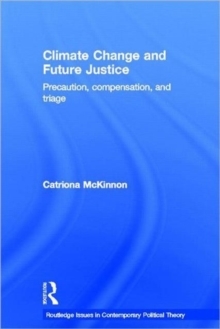 Drawing on theories of post-coloniality, feminism, globalization, andinternational politics, and using examples of contemporary political practiceincluding court cases and specific controversies, Shaw seeks to illustrate andargue for a way of doing political theory that is more responsive to thechallenges posed by a range of contemporary issues. 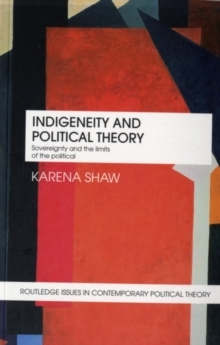 An engaging and highly original analysis of Indigenenity and sovereignty,this book enables the reader to develop a more robust consideration ofrelationships between theory and practice, and thus the politics of theorizing.